Take a hike! It doesn't actually matter if you're a fan of the great outdoors. 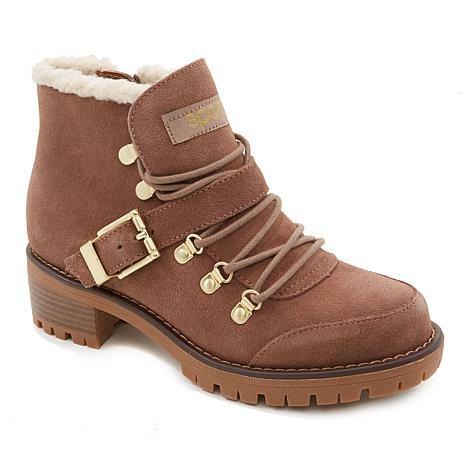 These classically chunky boots with a slim silhouette are your must-have item for the season. With a waterproof construction, suede upper and Thermolite core insulation, you'll weather the cold and rainy days ahead with style and ease. You usually just can't go wrong with Sporto boots and these were no exception to that! Got them in the gray and very happy with them. Good in the snow! The shoes fit perfectly and look great. I am constantly told how cute they are and have had several people ask where I got them. When I tell them what I paid, they can't believe the low price I got them for. I was skeptical about buying shoes online because I didn't think they would fit right but these did. Thank you HSN for offering great products and great values. Bought these in navy and wine as the Todays Special. So glad I did. Beautiful boots got them for Christmas! Love my navy pair and wear them often. 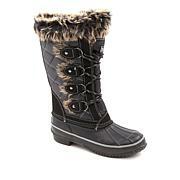 Nice sturdy boot for walking and clearing snow. Love the side zipper closure that means I don't have to fuss with tying and undying the boot. Not loose, but I do usually wear them with thicker socks.